When the wheel of the year rolls around to Labor Day weekend, a humble narrator always has plans. 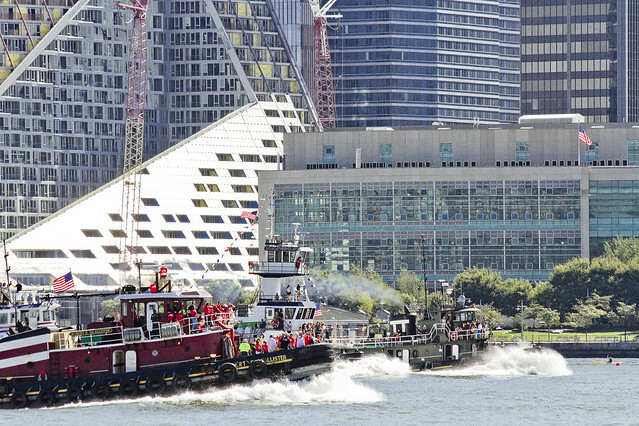 The Great North River Tugboat Race, produced by the Working Harbor Committee, occurs on the Sunday of Labor Day weekend. 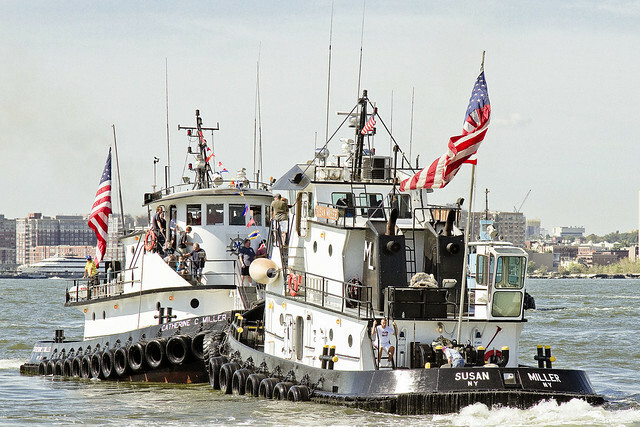 This year, 12 tugs raced from the boat basin at 79th street (well, Pier I, technically) to 42nd street right by the Intrepid. The winner, I believe, was the red McAllister tug pictured above. Why not swing over to working harbor to check out the official results? My colleague John Skelson also has a whole series of shots of the race running there as well. 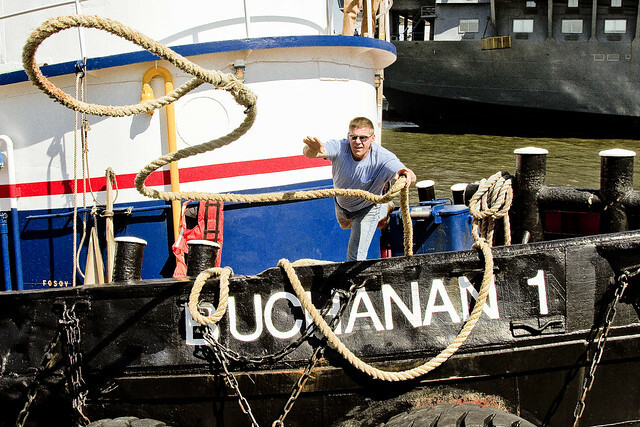 After the race, the tugs get into a “tug of war” competition. They go nose to nose and push each other around. This contest is about a lot more than just raw horsepower, it’s about the skill of the captains and how they handle their boats. There’s also a spinach eating competition, because as every sailor knows – you’re strong to the finach if you eats your spinach. But spinach with roasted garlic and sauteed in virgin olive oil. That’s the ticket!